Helping kids navigate the world of smart phones, social media, and the vastness of the online world is one of the most pressing issues of our time. But it’s not just parents who are struggling. Schools, Churches, Youth Groups and Camps contend with the effects of device use on the larger community on a daily basis. 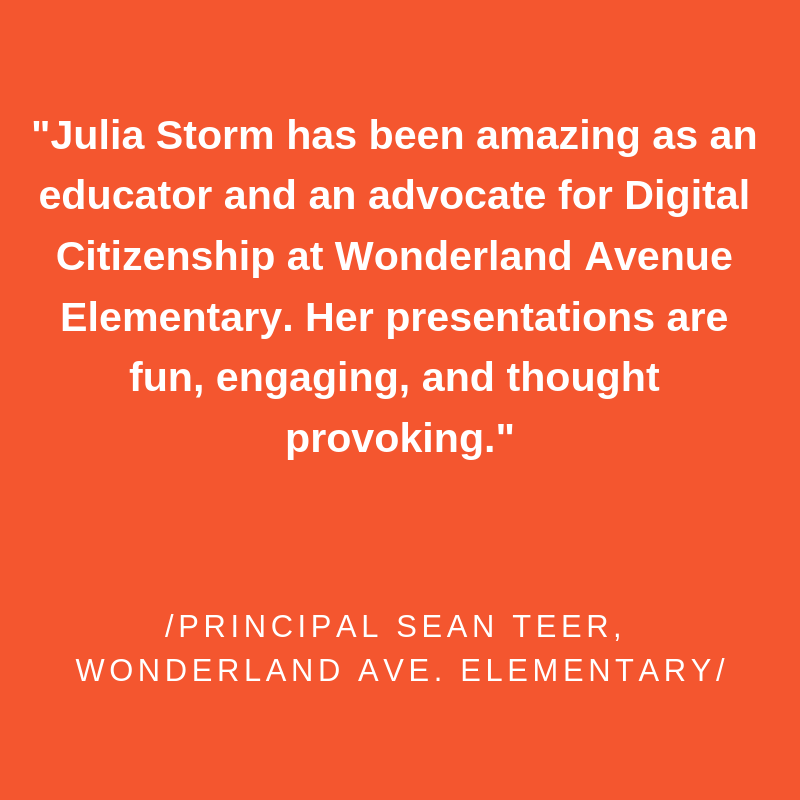 Julia’s ReConnect Speaking Engagements bring your community together through a common understanding of best practices for keeping our kids safe, smart and emotionally resilient in the digital world. With programs for both parents and kids, Julia’s engaging assemblies, Parent Ed Nights and smaller Group Workshops are designed to be developmentally in line with each age group - giving both parents and kids real world facts coupled with great advice and useful take home tactics that they can start implementing today. Julia has spoken at numerous venues across the country - from school auditoriums, to corporate board rooms to family living rooms. Some of the schools Julia has spoken at this year: Christopher Robin School, Wonderland Avenue Elementary, PS107 in Brooklyn, Brooklyn Prospect, Synergy School San Francisco, Larchmont Charter, Wonderland Elementary, Benjamin Franklin Elementary.